“Wejdeen (ready)?” Abdelrahman asked, glancing back at us through the rear-view mirror. We secured the last of the materials and nodded in response. Dar Si Hmad’s dedicated driver, technician, and all-around go-to guy revved the engine of the white Range Rover. And we were off. Off to the first Water School session of the year. Within ten minutes, we had left Sidi Ifni city-limits and found ourselves whipping through the countryside dotted with spindly argan trees and rows of cacti. The Rover trundled around sharp curves in the road, dipping down into rocky ravines and crossing precarious bridges over desiccated streambeds. Each bend and turn revealed spectacular vistas of the rolling, green peaks of the Anti-Atlas Mountains. At a small sign reading "Projet de brouillard", signifying the location of the Fog-Harvesting Project, we turned left. The paved two-lane highway was abruptly replaced by a dusty dirt road, and Abdelrahman expertly shifted to four-wheel drive. Bouncing and bumping down the path that led to the small community of Tnin Amelou, we arrived at the gated entrance of the schoolyard. Sitting in the shade cast by the stark, two-room school were 40 children waiting in anticipation for the first Water School lesson. Dar Si Hmad's new video series "Streaming the Water School" shares vignettes highlighting different elements of the Water School. The first installment, "Where It Happens," captures the remote location of the villages of Tnin Amelou and Id Aachour in Aït Baamrane, the classrooms where students learn about the unique ecology of their communities, and the schoolyard where the children take what they have learned outside to explore the natural realities of their world. The rural villages of Aït Baamrane just 30 kilometers southeast of Sidi Ifni are poised at the intersections of the Sahara, the Atlas Mountains, and the Atlantic Ocean. Its distinctive geography contributes to beautiful landscapes and a rich cultural heritage, but also limited economic opportunities, poor educational infrastructure, encroaching desertification, and increasing drought cycles. To combat these challenges, Dar Si Hmad's Water School leverages the local environment as a learning tool to engage students ages 7-14 with hands-on activities to encourage sustainable management of natural resources and ensure the region's socio-ecological vitality. The Water School responds directly to the environmental needs of Aït Baamrane's next generation, providing them with access to a greater quality of education today and equipping them with the skills their communities will need tomorrow. Each of our seven Water School lessons encourages students to celebrate water in their communities and to implement sustainable water management practices by providing hands-on, engaging activities that teach them the science and ecology of water. In the first lesson on “The Water Cycle,” students gained a deeper understanding of the water cycle and the distribution of water in their communities by creating their own stories on the journey of a water droplet. To celebrate World Wildlife Day in the second session on “Animal Biology,” students made animal masks and understood how the future of wildlife rests in their hands. In the upcoming “Plant Life” lesson, students will learn to identify different plants in their communities and understand how humans and plants are connected through water. Next month, students will apply what they learned about plants to build a community garden near their school. Through the “Water, Sanitation, and Hygiene (WASH) session,” they will use microscopes to see the differences between clean and dirty water and implement good hygiene practices in their daily lives. They will also be participating in a village cleanup and learning about how they can use their family’s grey water for different purposes in the “Pollution, Recycling, and Conservation” lesson at the end of April. The last session in May, “Protecting Aquatic Ecosystems,” will introduce students to the different marine life throughout Morocco as well as reinforce the concepts of sustainability and conservation to preserve the biodiversity within their communities and Morocco. Since water is a precious and newly accessible commodity in these communities, the curriculum encourages children to explore water conservation and to better understand the fog harvesting technology their villages are benefitting from. Educating youth on the importance of proper management of water and natural resources is critical to ensuring the region’s socio-ecological vitality and working towards a more sustainable Morocco. On Tuesday, we celebrated World Water Day. This year's theme was "Water and Jobs". In Tuesday's blog post, we highlighted Zaina and Hussein, two Aït Baamrane natives who are employed by Dar Si Hmad's fog project. 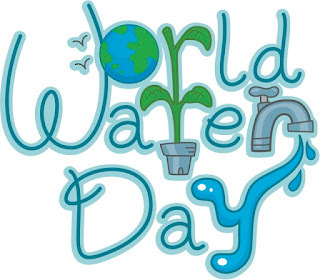 Abdelrahman, our fabulous driver, and Fatiha, our fantastic Water School teacher featured in this post about World Wildlife Day, are two others whose jobs are directly related to the water sector. But for Dar Si Hmad, every day is Water Day, and all of us depend on healthy ecosystems! Our Water School is about working with young people to understand the links between the natural environment, society, and ourselves. Learn more by following us on YouTube to catch more installments of our “Streaming the Water School” series. You can read more about our fog-harvesting project in this recent article in The New Yorker and follow us on Facebook, Twitter, Instagram, and Flickr to hear the latest from Dar Si Hmad. We hope you'll join us in promoting sustainable livelihoods, community resilience, youth empowerment, and environmental justice in Southwest Morocco.